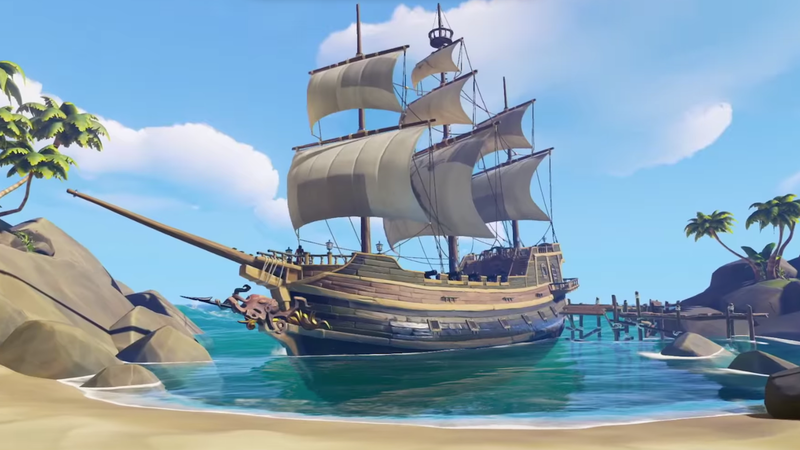 Yet another Sea of Thieves video released. Just over two weeks away from Rare’s shared world Pirate adventure, Sea of Thieves and the hype train just won’t slow down. A new trailer has just dropped that shows off all the intricate ways that players can customize their player and ships. Lead Character Artist Sam Chester and Windows 10 Design Lead Tim Teddins walk us through the brief trailer, where they show off the “Carousel” where players find and select a pirate to fit their taste, but as reported earlier, not create. They also share how the technology works clothing around all the different body types and genders. Later the two tease a little bit of ship customization, including figurehead and sail customization with the player’s ship, as well as the fact that more will come post launch to let players truly own their vessels. Certain strategies can come from your choice of gear for your ship and character, such as disguising as a low levelled crew and luring targets close.